You may have noticed the changes happening at the Beyond Organic site. Below are three Field-led Nationwide Conference Calls that best explain the new changes. Listen to Jordan’s latest call and as he shares his announcements of our exciting new partnership with Youngevity. This partnership will allow all of us to further spread our message of health and hope. We are excited to join forces with an established, proven company like Youngevity. The great line of Beyond Organic products, combined with their ability to broadcast a healthy message quickly and widely will result in more and more people being exposed to the Beyond Organic's mission - and that’s a good thing. Login to your Back Office for additional tapings and information about Beyond Organic's new direction. 5-08-2014, "Beyond Organic/Youngevity with Jordan Rubin, CEO Steve Wallach, Dr. Corey Gold and Tom Chenault"
5-01-2014, "Beyond Organic/Youngevity INTRO CALL 5.01.14 - featuring Jordan Rubin, Sanjeev Javia, and Dr. Corey Gold"
There will be very few changes. You can rest assured that what WON’T change are the products. 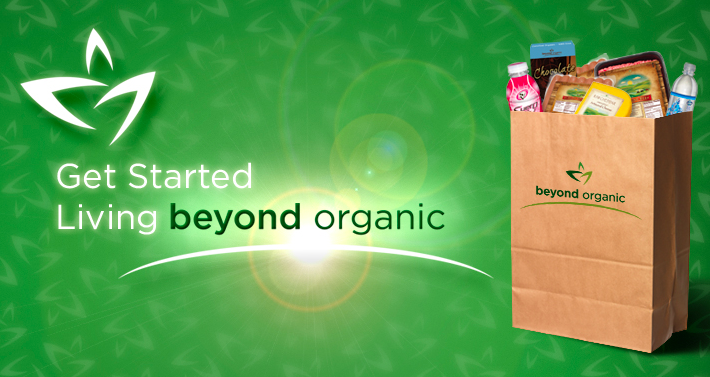 Beyond Organic will still produce the same great products you’ve come to enjoy and rely on for your health. Beyond Organic Founder Jordan Rubin will continue to produce the same great products from the Beyond Organic ranches in southeastern Missouri. In fact, with an expanded reach, we will be able to produce even more of these great products and fully utilize our thousands of acres, hundreds of cattle, and our state-of-the-art creamery. Again - this is a good thing.